When we’re a child, we grow into a world of confusion about what a relationship is and what it isn’t. All of us are born into a different life situation. We are born into a different family, a different set of family values and different ways of thinking about life. Our Mum and Dad, or our major role models, may have a functional relationship or a dysfunctional one. Maybe your parents are still together or maybe they’re divorced. They may have been together for a long time or a short time. Maybe you grew up most of your life with a single parent. It’s not what our parents and role models say that we pick up on, it’s the way they behave minute to minute, hour to hour, and day to day. What’s interesting is that there are very few places to learn about intimate relationships, other than our upbringing. When we go to school, we learn mathematics, we learn physics, we learn English and perhaps some social studies, but very little about intimate relationships. According to Morris Massey, during the first seven years of life, we pick up 80% of our automatic thinking, behaviours and feelings and that includes our understanding of intimacy and connecting with another person. At seven to fourteen years of age, we pick up the other 20% of our belief systems. So as a child we create a meaning for ourselves of what an intimate relationship is, whether that serves us or it doesn’t and remember, we learn this from what we pick up unconsciously from our upbringing, not from what we’re told. If we see Mum and Dad fighting a lot, interacting in negative unhealthy ways, or feeling lonely or unconnected on the inside, we unconsciously create our meaning that this is what a relationship is, as a result of this experience. Some people use this experience and create a meaning to do the opposite to their parents, however, it can be hard to disconnect from consistent conditioning in such a pivotal period of our life, so quite commonly it effects us later. We don’t only create our meaning of what an intimate relationship is from our parents. We also get it from television, newspapers, magazines and even fairy tales. As a child, we read books like Cinderella and Snow White and how Prince Charming will come to the rescue. Someone is empty inside or missing something in their life. They are in trouble. It could be the guy or the girl that’s in trouble. They are empty and it’s the job of the other person, the guy or the girl, to rescue them. Have you seen the scene at the end of Pretty Woman with Richard Gere and Julia Roberts, where Richard Gere climbs up the ladder and plays out the fairy tale that so many of us have from when we’re children? There’s nothing wrong with this, its romantic, but how many different parables, how many different stories, how many different movies, how many different soapies, how many different television shows follow the same structure? Think about how often you are exposed to the idea that there is a person in distress. He or she is in trouble at the top of a tower and it’s the partner’s job to save them. What if a relationship was much, much, more than just the fairy tale? So What Is A Relationship? Do you remember that falling in love feeling? Sometimes called the “Lovey Dovey Stage” or the “Honeymoon Period”. It feels amazing! We’ve just met this new person and we’re head over heels. We’re dating three times a week, on the phone almost every day and each even using emoji’s as a new language. But at this point in a releationship we have an advantage. We have Mother Nature’s help. When we first meet someone that we’re attracted to, or we start a relationship with, our bodies are designed to release a chemical called Oxytocin. Its function, according to research, serves the continued propagation of a species. Essentially it makes sure that despite everything we have going on in our lives, we prioritise connecting with people. What most people don’t realise is that when we fall in love at the start of a relationship we have the assistance of Oxytocin firing off. Whereas later down the track, when we move beyond the “Lovey Dovey Stage” and “The Honeymoon Period”, it starts to fade and we have to find better ways to have just as much fun, connection, excitement and passion with much less assistance from this chemical. In the first stage of a relationship, thanks to Oxytocin, it commonly feels like our partners are perfect.They say all the right things, they spend time with us, we do things together and we feel like we’re number one in their life. Unfortunately its hard to know how much of that is the due to the chemical, and how much of that will last many years into the future. In Australia and around the world, we have a pretty significant divorce rate. Some research shows that up to 60% of couples divorce depending on which country you live in. Out of the other 40%, many people stay together even though there hasn’t been intimacy in their relationship for years. Quite often they’re more in a friendship than an intimate relationship. I always wonder, is it really, solely, up to the other person to make us happy and to fulfill our every desire, need and want? Of course not, it’s just a nice thing to have. Why would we hang around someone if they constantly made us unhappy? But don’t we have a responsibility as an individual to make ourselves happy as well? What if we thought about it differently? What if we changed the meaning of an intimate relationship? That instead of finding someone else to fulfill our emptiness inside, we also worked out a way that we could take responsibility for filling it up ourselves. People are walking around in life with their cup’s empty. If your cup’s empty and your partner’s cup’s empty, how are you going to fill each other up? What people don’t realise is that with empty cups, if you find even the tiniest bit of water , you’ll probably end up fighting over it, because there isn’t enough to share. There’s another way an intimate relationship can work. What if you filled your cup up first with all the security, love, connection and passion for life you could find and then you gave to your partner the bits that were overflowing. In an intimate relationship if you’re giving to your partner the only water you’ve got left, eventually your cup will be empty again. What we’re actually meant to do is to fill our own cups up first and then when we’re whole and fulfilled with all the emotions we need, then we’re in a place to give to our partners all the water that overflows. There would be no end to the amount of love or connection that you could give to the relationship. If we’re really looking for a longer-term relationship, we need to realise that when the chemical wears off, we’re going to start to notice things about our partners that isn’t perfect. Things that may be less than good and sometimes things that are just outright annoying. How do you love someone even if they do these annoying things? They weren’t like this in the first year. Are they going to be like this forever? People often make the mistake of looking for a perfect partner. Someone who never upsets them, or who never disagrees with them. Unfortunately everyone’s had a different upbringing, with different conditioning, different belief systems and different values. So it’s unlikely that we’re not going to upset somebody we are spending so much time with, especially when the chemical has less of an effect. How do we know if we’re on the right track? Beyond “The Honeymoon Period”, how do we measure a relationship? Unfortunately when people are upset, they often forget the good times and only remember the bad times, so asking them if the relationship is working or not working, often only tells us how a person is feeling in that moment rather than how the relationship has been going over a longer period of time. On top of that we need to remember we’re not looking for our partners to be perfect, so a better question that can help is, “Is there five times more positive emotion or five times more negative emotion in this relationship?” If over the course of years, if you average it out, if there’s five times more positive than negative emotion, then fantastic! That’s likely to be a relationship that’s working. I wonder what would happen if you already felt safe and connected, an abundance of love, you were excited and passionate about life and you didn’t “need” someone else to provide these emotions for you. What we’re not taught is that all of these emotions, can be nurtured internally. Many people have troubles in their relationship and at times may be thinking about ending it. If you and your partner have empty cups, it creates so much scarcity and the intimate relationship either becomes a friendship, with very little intimacy, or a business partnership, where we spend more time talking about the finances than we do being intimate. The truth is even if you do fill your own cup, maybe your relationship will work, maybe it won’t. No one has a crystal ball, but when someone works on filling their cup up, they light up inside and seem even more beautiful. They feel like they’re a part of life rather than hiding away from it and with so much water overflowing, they make it their mission to give their partner all the connection, happiness, safety and love that they can. 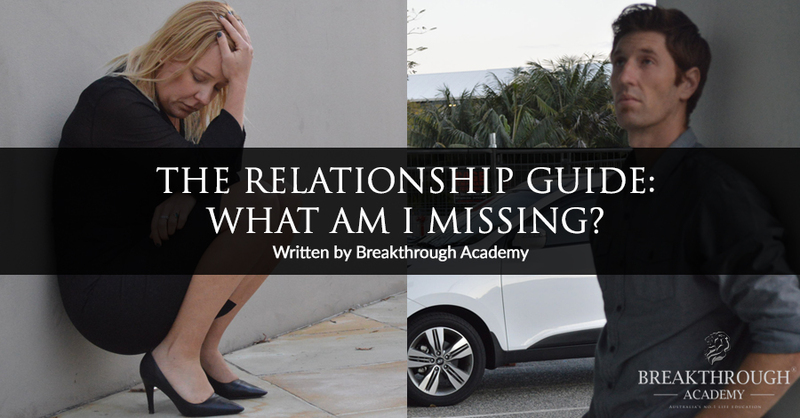 So, before you end your relationship, find another partner, move on or give up hope, the first step is to look inside and ask yourself, “What am I doing to fill up my own cup? What am I doing to find safety, connection, fun and passion in my life? Then when you’re cup is overflowing, give your partner as much of these emotions as you can. You’ll be amazed at what happens. In our first years of a relationship, we’re intimate all the time, we go to the movies together, we go on date nights, we message each other all the time, we buy each other gifts, we spend lots of time together and we really listen to each other. Sometimes later in our relationships we forget that it’s all of those moments that create a relationship. If only we could live our 50th year together like we lived our first. Fisher, H. E. (2004). Why we love: The nature and chemistry of romantic love. New York, NY: H. Holt. Gottman, J. M., & Silver, N. (1994). Why marriages succeed or fail: What you can learn from the breakthrough research to make your marriage last. New York, NY: Simon & Schuster. Hawkins, A. J., Fackrell, T. A., & Utah Commission on Marriage. (2009). Should I keep trying to work it out? : A guidebook for individuals and couples at the crossroads of divorce (and before). Salt Lake City, UT: Produced on behalf of the Utah Commission on Marriage. Massey, M. E. (1979). The people puzzle: Understanding yourself and others. Reston, VA: Reston Pub. Co.
Sigelman, C. K., Rider, E. A., & De George-Walker, L. (2013). Life span human development. South Melbourne, Vic: Cengage Learning. Van Krieken, R., Habibis, D., Smith, P., Hutchins, B., Martin, G., & Maton, K. (2010).Sociology. Frenchs Forest, N.S.W: Pearson. My cup is my responsibility to fill, it starts with me! Feeling goodenough helps, rather than expecting someone to be not goodenough (which is what searching for perfection is), and a search for perfection is a moving target, as perceptions of what is perfect can change, as the biological need for variety kicks in. This is biology serving itself in its inner desire to self replicate I suppose. The search for painless love is a fruitless endeavour imo because these feelings dont exist in isolation from each other, they are strung along in a family network of pulls and pushes of motion. Accepting this means acknowledging and revisiting the oringinal definition for passion, which is actually means suffering. So some of this needs to be tolerated for long term relationships, with then a switching of focus back to acknowledging love and support for self and each other.